The Olympic flame is symbol of the Olympic Games. Commemorating the stolen fire by Prometheus from the Greek god Zeus, its origins lie in ancient Greece, where a fire was kept burning throughout the celebration of the ancient Olympics. 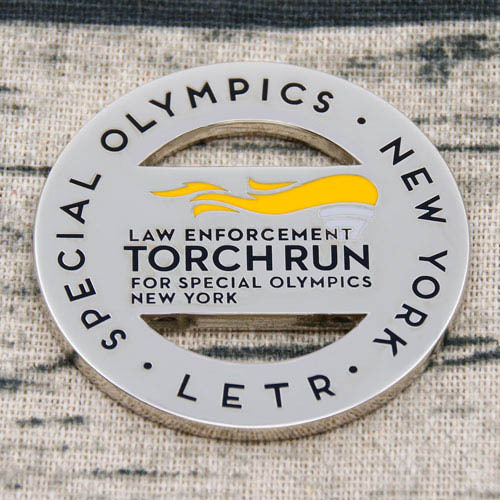 The Law Enforcement Torch Run (LETR) campaign was created to benefit the Special Olympics was began in 1981. So, they involve all officers in the community by running a torch relay for their local Special Olympic. Nice right! 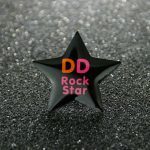 First, mentioning a little bit about design, this offer a cut-outs design. Later on, if we see in deep we can appreciate flame of torch in bold yellow color, shiny silver plated. Absolutely this make of this challenge coin more outstanding for those who are serving as a award coin for this event. Law enforcement agencies are special organization who have devoted much efforts to our society security. These specialized men and women fight gang violence, illegal drugs, and organized crimes. Award coins make a great token for your favorite Policemen, club members or community members. 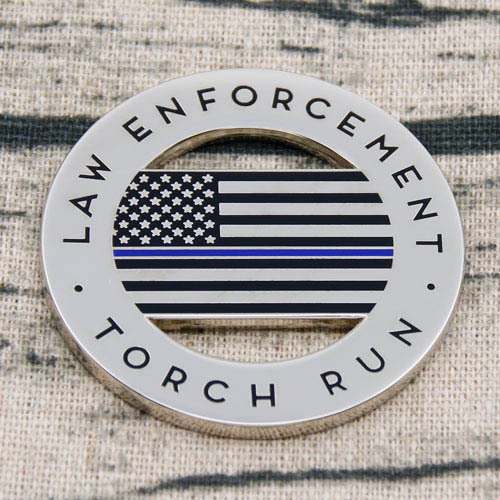 Whether as gift for a collector or as symbol of pride and recognition, law enforcement challenge coins are a economic and effective way to show support. The collectible challenge coins appeal to a diverse group of people beyond the military units and other service industry as well. 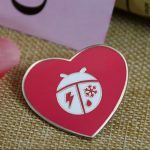 They remain popular with businesses, organizations, academic institutes, and non-profits because challenge coins are unique and meaningful gifts for reward. ← It is Thanksgiving Time! obqygkrbxrv,Your blog was informative and valuable to me. Thanks for sharing.